The don Quijote school in Salamanca is located in the heart of the old city center nestled among the buildings that make up the famous University of Salamanca. Located in a beautifully restored 16th-century monastery, students will love the outdoor courtyard equipped with tables and chairs. 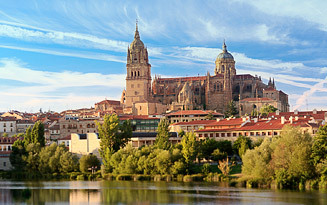 Salamanca offers the advantages of a city with the size and charm of a small town. All students will also have access to library resources including reference books, DVDs, CDs, and study guides. Computer labs and fast internet connections are available at our Salamanca Language School. Written and oral test are administered on the first day of school in order to place the student at the appropriate class level with a certificate of completion granted at the end of the course. 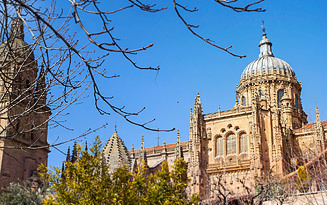 Learn Spanish in Salamanca, Spain in a beautifully restored monastery from the 16th century located in the heart of the city center and surrounded by the famous University of Salamanca. 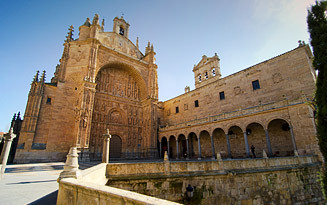 The school is just a short walk from all of Salamanca’s famous attractions including the main square (Plaza Mayor), the House of Shells (Casa de las Conchas) and the Roman Bridge (Puente Romano). The school is accessed through a lovely outdoor courtyard which divides the school into three main parts: the bar cafeteria, the offices and the classrooms. The school has seventeen classrooms, a common area with computers and television, a library, a staff lounge and offices. Our Salamanca Spanish school also features Wi-Fi access, heating and air conditioning throughout the building. Salamanca is home to don Quijote’s very first school chosen over 25 years ago to be the beginning of our lifelong goal to provide the best quality Spanish education available to students young and old from all over the world. 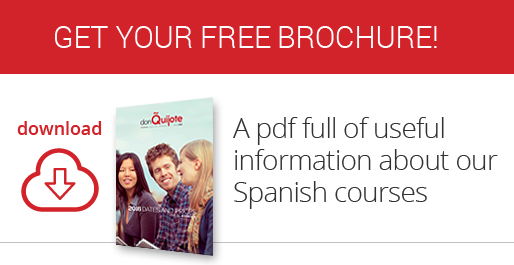 don Quijote offers over 25 different courses with flexible start dates. Study for as little as one week or as long as you would like. Regardless of your age or specific goals, we have the perfect program for you and if not, we can design it for you. At don Quijote we know that your experience abroad is not just about school and classes, but more importantly about the people you will meet and interact with daily. From the very first day you will be in direct contact with our Salamanca faculty who will not only offer you a warm welcome but also years of teaching experience and advice while you are abroad. My name is Jesús Baz, the school director at don Quijote Salamanca, and I want to welcome you to my school and my city. I coordinate the teaching staff at don Quijote Salamanca and you can be assured that we will do all that we can to help you reach your goals in a personable, pleasant and easy-going way. Come and see for yourself! My name is Gloria and I have been teaching at don Quijote for nearly 20 years. I love being a teacher! 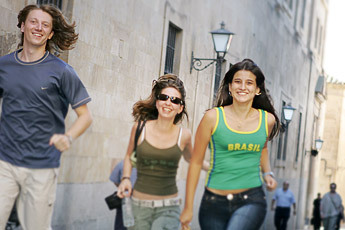 Salamanca is a beautiful city where you can easily get to know people without needing any form of public transportation. The school has an incredible atmosphere where many different cultures and nationalities come together. The truth is that I feel really fortunate to work here doing what I love to do. I have been a teacher at don Quijote for 20 years which proves that I enjoy what I do. The best part of my job is entering into a classroom full of eager smiling faces and to witness how every day we are better able to communicate with each other in the beautiful language of Spanish. Not only the students learn and grow here, but the teachers as well. Hello, my name is María José and I have been a teacher at don Quijote in Salamanca for many years. 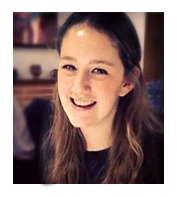 I like my job and I enjoy the fact that not only do I get to help both young and older people to reach their goals, but I also have the opportunity to enrich my own life on a personal level by learning about my students, their countries, cultures and life experiences. don Quijote students are people from all over the world who spend a very important part of their lives with us. 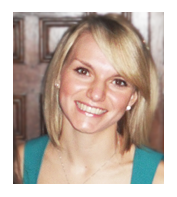 We have dedicated this section of our website to say thanks to all of them and to let you read about their experiences. My time at don Quijote has allowed me to deepen my understanding of the Spanish language and culture. It has been an enriching experience which I will never forget and I would love to return in the future. I had plenty of opportunities to contribute to group discussions and I was growing in confidence in my ability to speak Spanish. 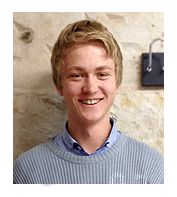 Learning a language in the country in which it is spoken is the most effective way to learn and I would recommend it to anyone who is interested! Studying Spanish at don Quijote made me understand the language and the Spanish culture more. The Spanish classes encouraged me to talk with more confidence. The courses were very intensive and the teachers were always helpful. I made friends from all over the world, with whom I am still in contact with! Salamanca is a good city to live in. It is pretty small and so you can walk everywhere. The food is nice and it has many good bars with even better prices. Salamanca also boasts lovely architecture as seen in both the cathedral and Main Square. 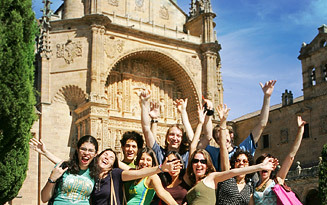 At don Quijote Salamanca you will learn a lot and meet interesting people from all over the world. Comfortable accommodation is a vital part of your stay. That is why at don Quijote we ensure the quality of all of our student apartments, residences and host families. We understand that simple problems with your accommodation can spoil an otherwise perfect day and distract you from your main purpose: to learn Spanish. We are here to help you feel comfortable, secure, and at home. 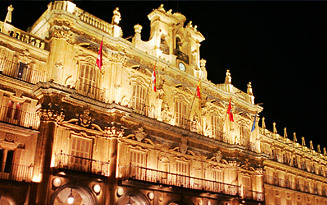 Staying with a host family in Salamanca will give you an opportunity to truly experience life in a Spanish family. Our families are carefully selected and most of them have worked with don Quijote since the very beginning. They know how important it is to be good hosts and to make our students feel at home from the very beginning. Students will receive keys and will have the liberty to come and go as they please. They can also receive calls during their stay. Choose from various meal regimes during your stay with a host family: breakfast only, half board (breakfast + lunch or dinner) or full board (three meals a day). Student apartments are basic but are basic but fully furnished and equipped with all the necessary amenities including cooking utensils, linens, an ironing board, washing machine, etc. Rooms are generally furnished with a bed, nightstand, lamp, desk, chair and wardrobe while the living room has a television for common use. Student apartments accommodate up to six students from a variety of nationalities and cultures. Together, students are responsible for the upkeep and cleaning of the kitchen, living room and other common areas. Students are responsible for purchasing and preparing their own meals. Student residences are located in the city center and offer individual, shared or triple rooms with half or full board meal options. 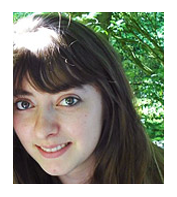 There are different types of student residences depending on preferences and availability. We understand that some of our students may want to maintain a certain level of privacy and standard of living while they study Spanish abroad. With this need in mind, we offer the possibility of renting a full apartment during your stay. We offer two types of private centrally located apartments in various sizes: standard or premium. A standard private apartment is a basic student apartment which a student can fully rent out as a private apartment. A premium apartment offers higher-end furnishings and amenities than those offered in standard apartments. Our premium private apartments also include Internet/WiFi access and a weekly cleaning service.